1-2 yesterday and I guess it wasn't meant to be when Chase Anderson 2 hits the Giants with only 2 K's. 19 freaking outs on either pop ups or ground outs! Oh and how about the Nats letting basically one guy beat them. A-Ram with three doubles and 5 RBIs. I have a feeling Zimmerman is hurt. 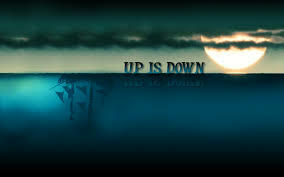 Up is down. Black is white. The Pirates ace is on the mound today verse a Philly squad that is in the bottom five in OBP, wOBA, and runs scored. The ML is way too high so I'm taking the RL. Matt Latos is coming off the DL to face the Rockies. Anyone think he's going to fare well? Yeah me either. The Rockies are starting Hale who hasn't walked anybody in three starts which is impressive but has given up 9 runs in those 3 starts. I think we can get to 8 or more runs in this one. I can't imagine the Giants being shutout for two nights in a row especially with a gas can like Collmenter on the mound. The D'backs are in the top 5 in runs scored and the Giants are in the top 5 for OBP and wOBA. I don't trust Vogelsong either so 7.5 runs is reachable. The Yankees and the O's square off today and it's looking like it's going to be a run-fest. CC on the mound for the Yanks is always good for 2-3 runs and Bud "Gas Can" Norris is on the bump for the O's. If you are plying DFS I'd stack the Yanks. We might see 9 runs by the 5th. My last play on the diamond are the Doyers. Greinke on the mound for LA has been rock solid. In his last seven starts besides the blow up at Coors he has allowed zero or one run. Historically he hasn't had much run support but I can't imagine Kenedy giving the Doyers hitters problems. Last but not lease we have the Cup. It's turned into a three game series and I think the Blackhawks are lucky that it has. Tonight the Lighting are at home and from here on out I think the home teams win their games. This one is going to 7 with the Lighting prevailing.